My 13 Cents: Learn Spanish for FREE...Plus it's fun! Learn Spanish for FREE...Plus it's fun! Learning a second language can be very useful, especially for your work or career. In a sluggish economy, knowing a second language might be the thing that puts yourself above the rest. For me I just want to learn another language and knowing Spanish will definitely be beneficial for my career in dentistry. There are two main problems that I see with learning a new language. Well, I just started a new program called "Duolingo" that solves both of these problems. First of all it's completely FREE and secondly it's actually a lot of fun...it's really more of a game. Duolingo can be used on your computer or on your smartphone as an app. It's fun because it uses the "level-up" idea that many games utilize, so it's actually kind of addicting. You don't want to stop learning. You can also see other friends progress and compete with them. You can actually learn several languages: German, Spanish, Portuguese, Italian, and French. Duolingo is revolutionary and I've actually read that it is just as good or better than leading language software such as Rosetta Stone. 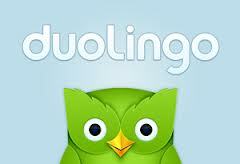 So you can pay $100's using Rosetta Stone or $1000's taking college courses or you can try Duolingo for free. (I've actually never tried Rosetta Stone so I can't personally compare, but I really like Duolingo so far). Might as well give it a try first before paying money to learn a language.